A fresh breeze of style rocks the air when you swaddle yourself in this Witty in White Short Tunic for Women from Snehal Creations. 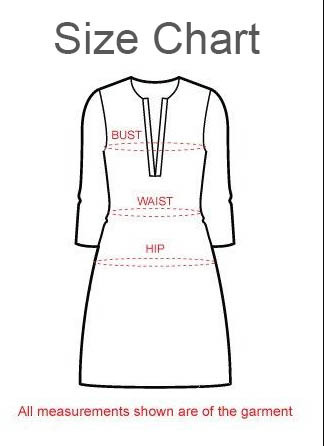 The kurti has been tailored out of plain white fabric, with multi coloured embroidery adorning its ban neck and neck collar. Additionally, some pintex strips run vertically equidistant from the neck. Red and blue taping on the collar, gala patti and sleeves make a fine sight!